We've all been waiting to hear how Adele's instrument is currently handing in a live setting after her protracted break. 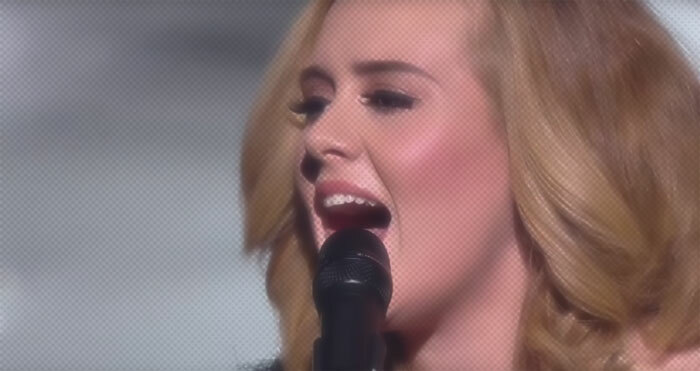 Well we wait no longer, as the Diva took to the stage at NRJ Awards to sing her massive comeback hit, Hello. Undoubtedly sounding like the recording- which is great- this didn't stop me feeling underwhelmed by it all. An odd reaction considering it was text book Adele (which I usually enjoy), with just her voice to enthral and entertain. The little, subtle ad-libs worked into the vocal were appreciated, but the belts didn't convince that the technique used is healthy or sustainable if she is planning on extensively touring. The first one was particularly shaky. Still, I shouldn't be complaining. It was a rendition that was faithful to its studio counterpart. A rarity in this industry.